2NDS. 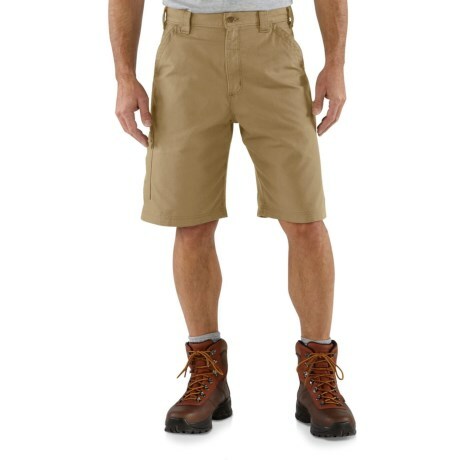 One of the brandand#39;s original workhorses, Carharttand#39;s canvas work shorts are made of 7.5 ounce ring-spun cotton canvas, and have plenty of room for holding tools. Available Colors: DARK KHAKI, FATIGUE, NAVY, BLACK.